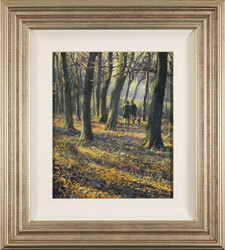 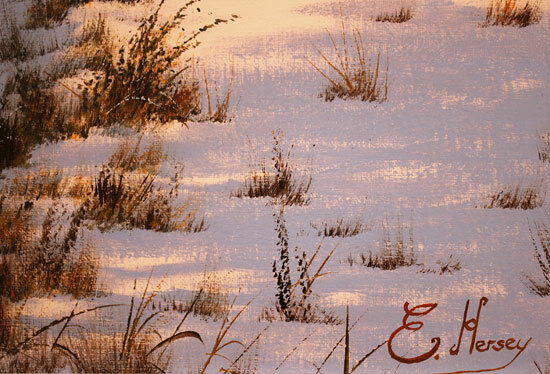 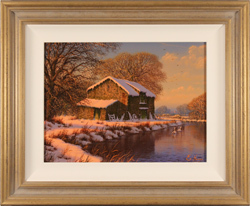 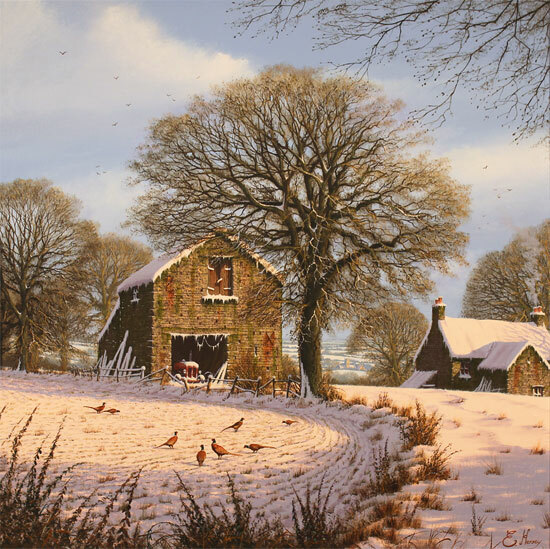 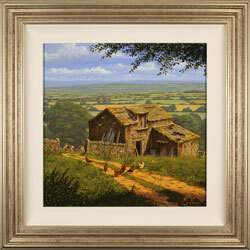 Edward Hersey’s remarkable country scene, A Light Dusting, proves to be a rare treat. 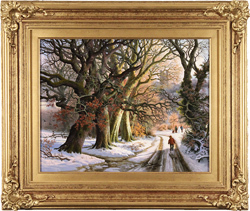 Unlike the artist’s previous winter scenes, this newest work employs a cool, violet-hued palette, perfectly evoking the invigorating essence of a crisp winter’s afternoon. 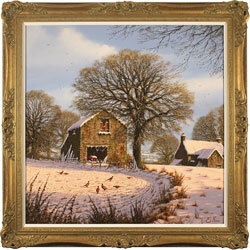 A Light Dusting, Yorkshire Dales.